Can You Prove Parental Alienation in a California Family Law Case? Can You Prove Parental Alienation in a California Family Law Case? You are here: Home / Blog / Uncategorized / Can You Prove Parental Alienation in a California Family Law Case? Can You Prove Parental Alienation in a California Family Law Case? As a divorced or separated parent, dealing with parental alienation can be extraordinarily difficult. While some cases of parental alienation will be obvious, in many cases it starts with an inkling, and gradually one parent will become more and more suspect of what the other parent must be saying to their children. If you are concerned that your former spouse or partner may be attempting to alienate your children, it is important that you take action quickly. Prolonged alienation can have life-long detrimental impacts for your children; and, as a parent, you have clear rights under California law. Parental alienation is a term used generally to describe when one parent undertakes intentional efforts to detrimentally impact a child’s relationship with is or her other parent. This most commonly involves saying negative things about the child’s other parent in order to create distance or engender feelings of ill will. While efforts at parental alienation are often intended to cause emotional harm to a former spouse or partner, they have the most-detrimental impact on the children involved. 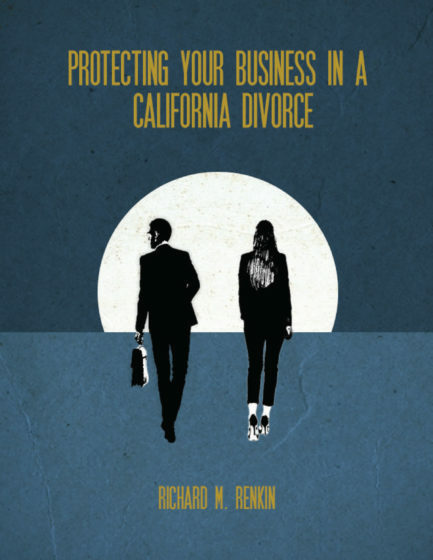 As a result, California law provides clear remedies in appropriate cases. How Do You Prove Parental Alienation in California? Depending upon your children’s age and the extent to which parental alienation has already occurred, your children may be able to testify as to what they have been told by their other parent. However, this presents obvious challenges (as well as some not-so-obvious challenges), and asking your children to provide information in a family-related dispute requires careful planning and consideration. If relatives, particularly adult relatives, have witnessed your former spouse’s or partner’s efforts at alienation, these relatives may be able to provide testimony in support of your request for judicial intervention. Your relatives may also be able to testify as to changes in your children’s behavior or interactions that are consistent with parental alienation. In limited circumstances, it may also be possible to compel a custody evaluator to testify as to a former spouse’s or partner’s admissions regarding parental alienation; or have Minor’s Counsel report to the Court the findings while representing the Minor. If you have written or recorded evidence of your former spouse’s or partner’s attempts at alienation, this can provide strong support for your request for modification of child custody or visitation. This includes communications between you and your former spouse or partner as well as communications between him or her and your child (however, before accessing your child’s phone or computer, there are important privacy-related issues you need to consider). If your children or your former spouse or partner has publicly posted any relevant information on social media, these posts are fair game. It is surprising how often adults say things on social media that they shouldn’t, and children often do not have a clear understanding of the boundary between what is okay to post and what is best kept private. Once you have sufficient evidence of parental alienation, then you can take your case to court. Potential remedies in parental alienation cases include modification of custody and visitation, and an order requiring reunification therapy. If you need to take legal action to stop parental alienation, we encourage you to contact us promptly for a confidential initial consultation. To discuss your case with North County, San Diego family law attorney Richard M. Renkin, please call 888-837-3564 or request an appointment online today.